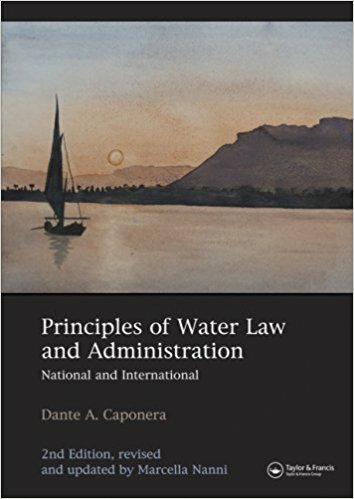 Though most legal systems are viewed as reflecting a view of water either as private, common, or public property, most systems in practice recognize a mix of these types of rights in water sources. For instance, often quoted (e.g. Samuel C. Wiel, "Running Water", Harvard Law Review 22: 190 (1914)) is the statement from Justinian's Institutes (1913: 2.1.1): "The following things are by natural law common to all—the air, running water, the sea, and consequently the seashore"; yet the Roman law, in every period, contained a complex mix of private, communal, and public rights in water (Caponera, 2007). Of Islamic water law it is said that "true Muslim believers cannot grab water in excess to their needs since they are obliged to allow free access to any amounts of water beyond these needs" (Al-Awar et al., 2010: 32) and that the Prophet prohibited selling of water (Caponera, 1954), but also that "Islam supports privatization of water supply… as long as it leads to a fair and free market" (Al-Awar et al., 2010: 34). 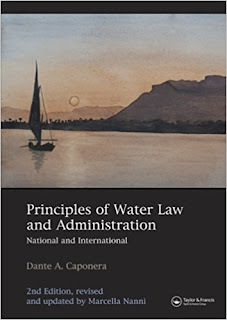 The civil law's distinction between public and private waters has often ceased to exist in practice, with state approval being required for use of private waters as well as public (Caponera, 2007). China's constitution (Art. 9) and 2002 Water Law (Art. 3) state that all water is owned by the state, but in practice a system of private rights exists (Wouters et al., 2004; Shen and Speed, 2009). In the Anglo-American world much is made of the difference between the common-property rules of the riparian system in force in England and the eastern United States, and the system of private appropriative rights in the western U.S., but both systems in fact contain a mix of features typically associated with each type of property (Smith, 2008). If the reality of formal water rights at the level of state law is a complex mix of public, private, and common, a large body of research on water management at the local level (e.g. Maass and Anderson, 1978; Meyer, 1984; Ostrom, 1990; Rivera, 1998; Boelens, 2008) reveals an almost infinite variety of property and governance systems. In various places water is sometimes allocated in proportion to field size, in accordance with the age of the field, by family, by position on the stream, or by any other of a multitude of possible principles, often anchored in long-standing custom and close social, economic, cultural, and religious ties. Integrating these locally embedded rights into systems of state law is a complex task, one often accompanied by significant redistributions of water rights (e.g. Reich, 1994; Van Koppen, 2007; Hendriks, 2010; Hicks, 2010; Boelens and Seemann, 2014). Next: Property in water: Theory. The full article is here.